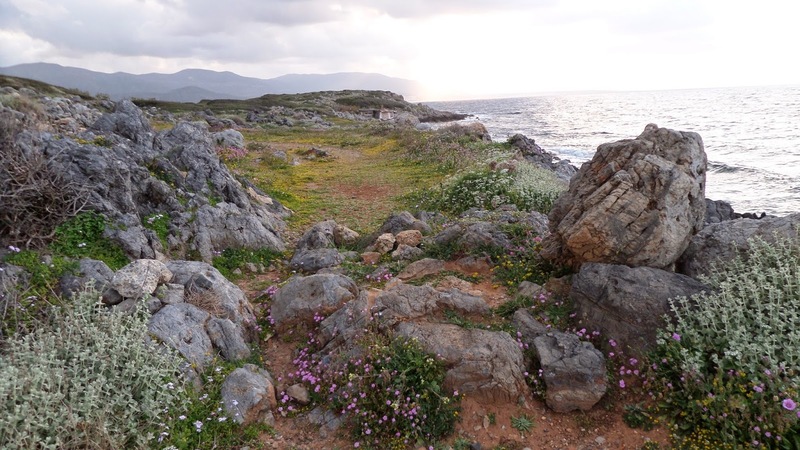 I have already written about these wonderful coastal paths, and the archaeological sites that you will pass along this part of the coast - here. 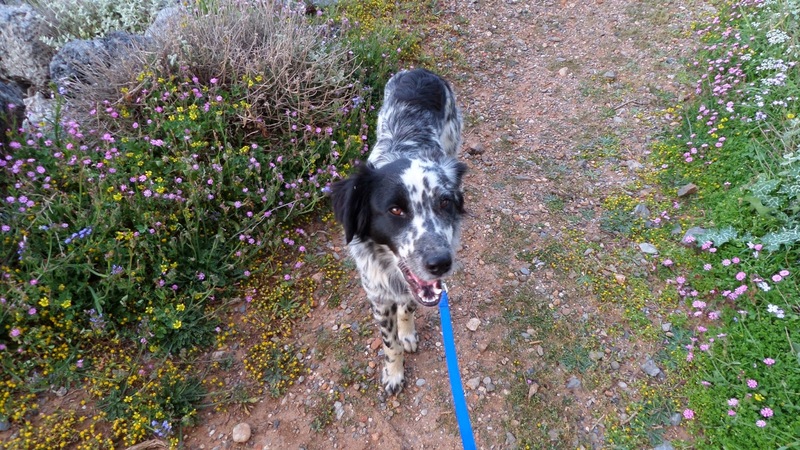 Last time I wrote the post, however, I had not half-adopted a beautiful black and white puppy, who, for now, is called Thyme (Thymari in Greek). I took Thymari with me along this route this week, down to the small cove at the end of the path. I'm not sure, but it seemed like the first time he'd been in the sea. First time or not, he loved it! This is a great area for dog walking (or puppy training), at least until the summer. There are lots of paths to explore, far from passing cars, with lots of plants and trees but good visibility. There are very few people around to get annoyed by an excitable pup, and no rubbish for dogs to eat. At the moment I'm trying to just get Thymari used to the leash and walking at my side. I also simply want to give him some exercise and new experiences - as he seems like he could be a smart little dog if he was more confident. 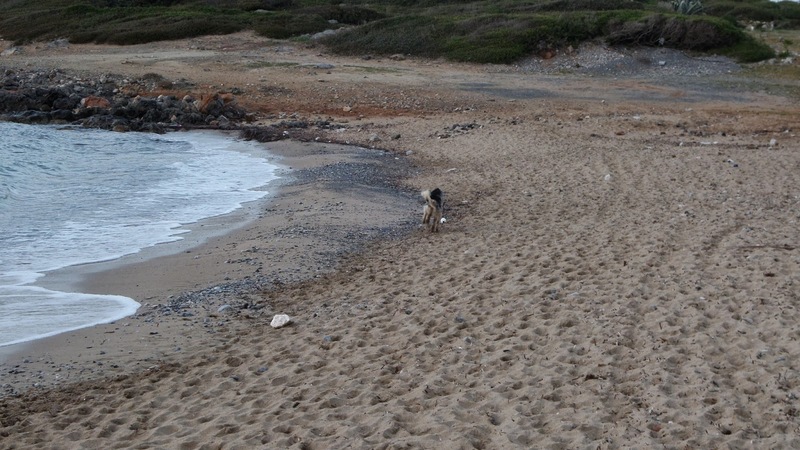 I imagine there will be tourists in the hotel down by the beach from Easter onwards, and the beach is a bit too small to hide away with your dog - so this is an autumn - spring place to enjoy with your dog. 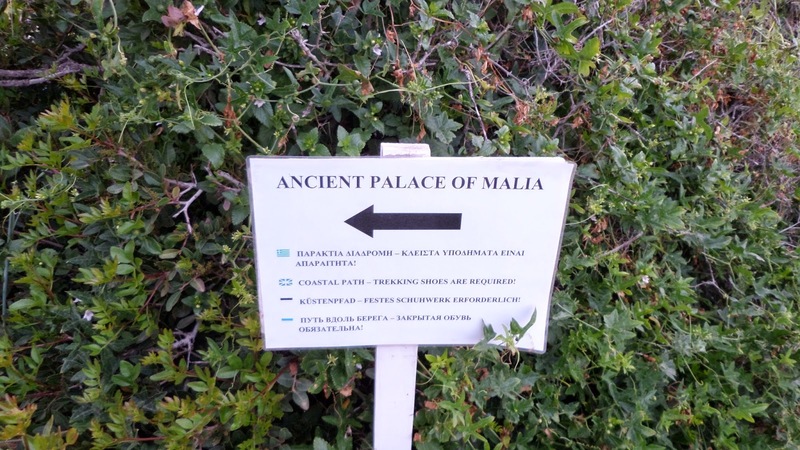 You can access this area from the beach road that runs by the Palace of Malia, or from the direction of Sisi. Thank you for your wonderfull story of those coastal walks. Those days are the best for a long walk, during summer one Always needs to find more quiet places. So happy for Thymari also and his 3 brothers will also be very happy that their lost brother also found a loving home. 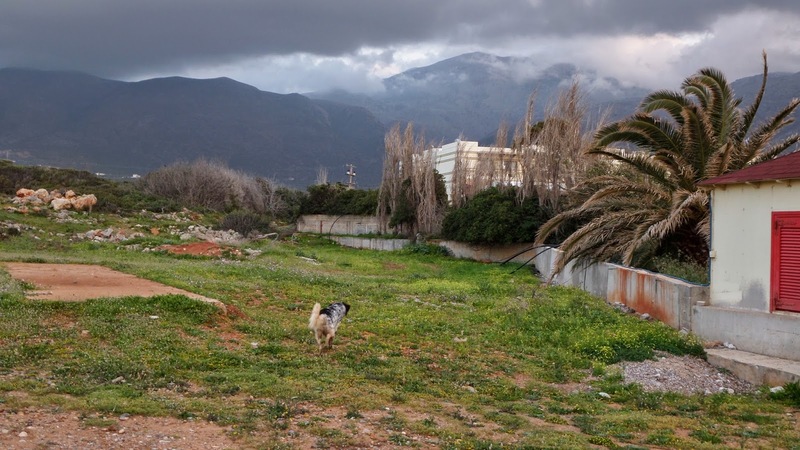 Thank you from the bottom of my heart also in the names of the ones who adopted, Alex, Manolis(now Herman) and Menios and all the ones involved in saving and helping the Spetters as we called them.